A street musician meets the love of his life again; two drunk men have long drinks and seafood for breakfast; a man cooks, cooks and cooks for a woman that never shows up; two men love each other but they hide; a cooker dreams of being a singer; a young woman wants what a man does not give her while a waiter is dying for her; a Macedonian is lost in Santiago suffering the lack of love; an elderly couple who have already said everything to each other have breakfast, lunch and dinner in silence. All these stories meet in “18 meals” during a single day of fiction, a film of emotions served around a table, a journey along the feelings of the most universal of all fights: the search for happiness. Jorge Coira (Spain 1971) has directed and written several television movies, series and documentaries. In 2004 he released his first feature film: The Year of the Tick. 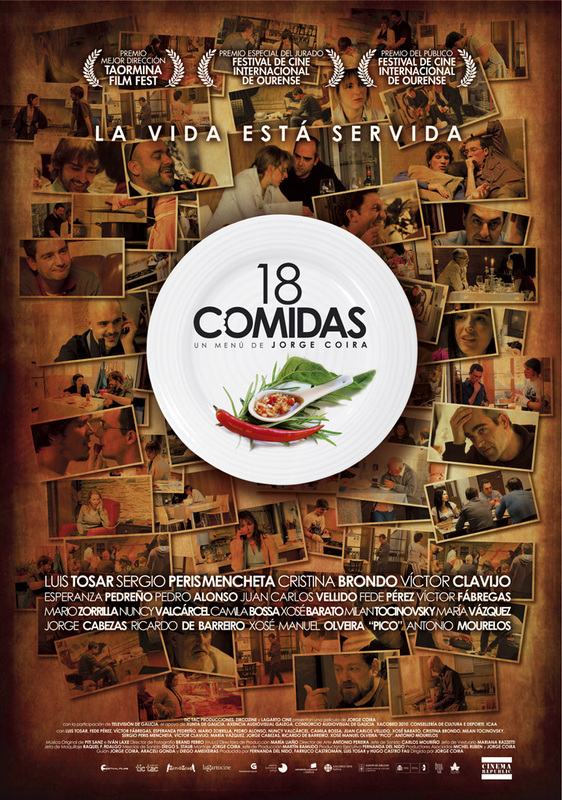 His second feature film, 18 Meals (2010) has won several Awards, including Best Director at the Taormina Film Festival and seven Mestre Mateo Awards from the Galician Film Academy, including Best Film, Director and Script.